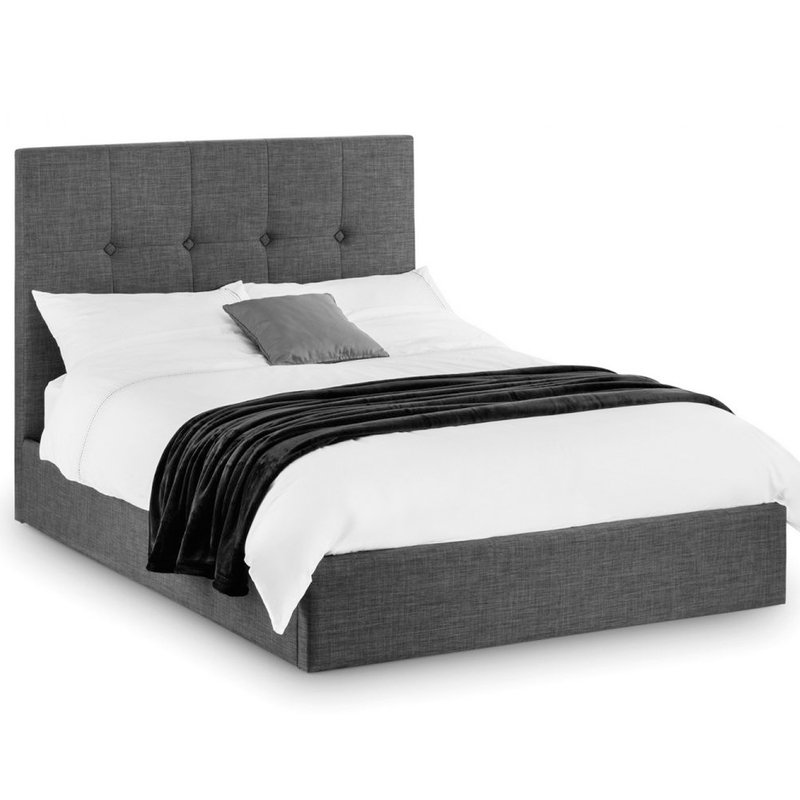 Make your bedroom feel a lot more modern and charming by introducing this magnificent Sorrento Lift-up Storage Bed. This storage bed contains a hardwood frame making sure that it's very strong, it's then given a lovely slate grey linen fabric to make it look very charming. This bed is not only stylish but also very practical because of the storage feature.